I know it’s winter and all, but there is always time for cookie dough ice cream! This Maple Cinnamon Ice Cream with Gingerbread Cookie Dough is perfect for this time of year. This ice cream is very easy to make. I used my ice cream maker for this and it took about 20 minutes. Having an ice cream maker is awesome. I made my money back very quickly. Have you priced organic/dairyfree/glutenfree ice cream lately? It’s crazy. You can make your own frozen desserts for very little. A maple cinnamon ice cream filled yummy gingerbread cookie dough. It's like Christmas in a bowl! Please make sure your ice cream bowl has been in the freezer for at least 18 hours. Mix all ingredients except the cookie dough, into a bowl. Add contents into the ice cream machine and turn on. Once the ice cream looks almost done, add in the cookie dough. When finished, the ice cream will be a soft-serve consistency. Place ice cream in the freezer for at least one hour if you like a harder ice cream. What do you mean by full fat coconut milk? Is this in cans? Yes in the cans. The super creamy stuff. I have tried making ice cream from almond milk and regular coconut milk, but it comes out more icy. You need the full fat stuff the get the same mouth feel as store bought or whole milk ice cream. Oh, yum!!! 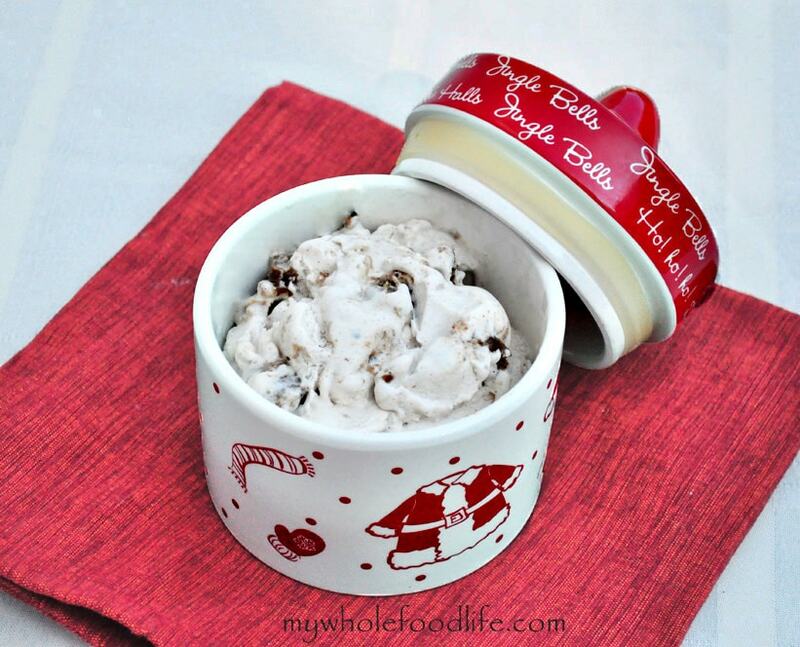 This may be one of the first recipes I make when I get my new ice cream maker for Christmas. This truly looks amazing!!! Thank you! This looks amazing! We do consume dairy at my house; do you know if it would work to substitute whipping cream and/or milk? Yes I think it should work with whole milk. This sounds absolutely divine! I can't wait to try it! I grew up in Boston, so I remember the harsh winters. YOu had me at Gingerbread cookie dough! How do I make gingerbread cookie dough? Sorry, I'm new to the kitchen! Pingback: well, hello monday… | my. b e a u t i f u l. rescue. looks delicious! i make something similar, but i add a tiny splash of vodka to keep the ice cream from getting too icy/crystallized in the freezer. i've never thought to add gingerbread cookie dough bits though...fantastic idea!